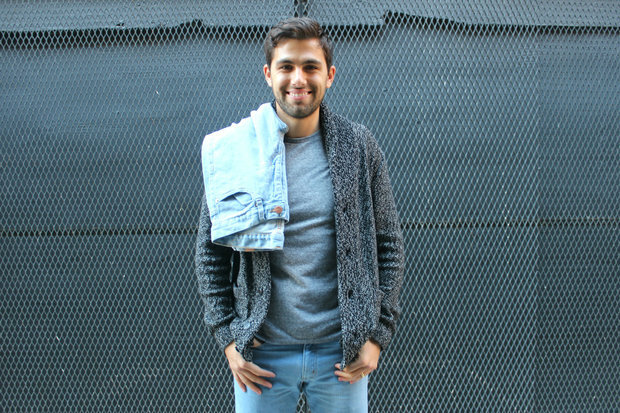 In the quest to design a comfortable slim-fit jean for men, West Loop resident Leo Tropeano launched Mugsy Jeans. 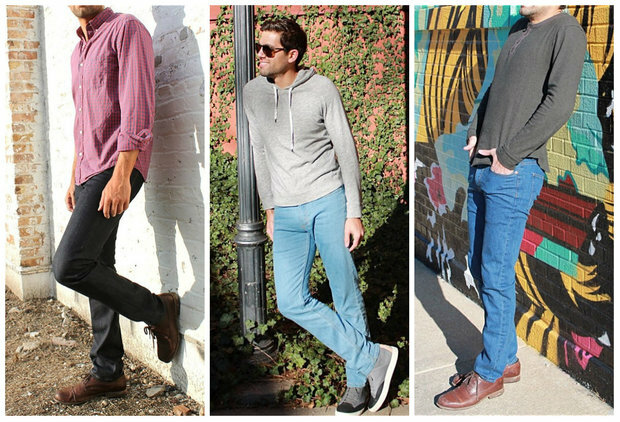 WEST LOOP — Can slim-fit denim for men be stylish without constricting? 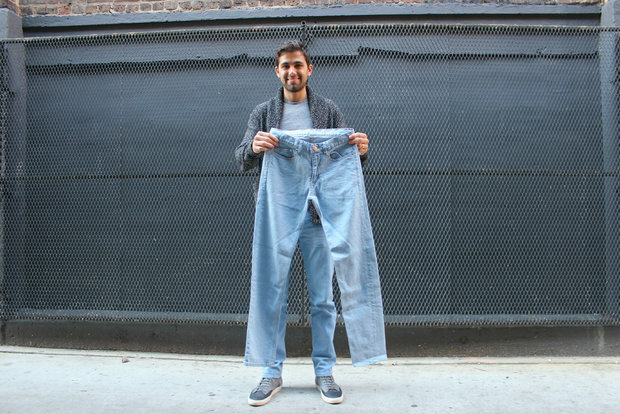 In the quest to design a comfortable slim-fit jean for men, Chicagoan Leo Tropeano launched Mugsy Jeans, denim with "more room in the crotch," out of his West Loop condo last year. After graduating from Miami University, New Jersey native Tropeano moved to New York City, taking a job as an accountant. Inspired by his stylish surroundings in the city's Financial District, Tropeano's denim brand began as an experiment. "I started looking for jeans and I couldn't find anything that I liked. And if I did find something that I liked, it was $300," he said. "Even then, the fit was really generic." So instead of shopping, Tropeano decided to make the perfect pair himself. "I didn't have any background [in fashion], but I was willing to meet everyone. I met with fashion students, manufacturers, I got a crash course just by meeting people," he said. After landing a manufacturer who shared his vision, he sent samples back and forth, and crafted a fit. Teaming up with his then-roommate, Tropeano launched a Kickstarter in May 2014, doubling his goal and raising more than $20,000. Inspired by the Kickstarter experiment and a move to Chicago, Tropeano decided to strike out on his own, launching Mugsy Jeans — Mugsy is his dad's pet name for his mom — in August 2015. The jeans, which retail for $98 online, are designed with a slim fit and "more room in the crotch," said Tropeano, now 28. The limited-release designs, including the aptly-named 606's, are made out of high-quality Japanese and American denim and manufactured in Los Angeles. Tropeano works out of SoHo House in the West Loop most days and ships the goods from his West Loop condo. "I want to show men that you don't have to wear baggy jeans to be comfortable — you can look great and feel comfortable," he said. Convincing some men to try slim-fit jeans can be a hard sell, Tropeano said, so he relies on racy marketing to communicate Mugsy's slim-sans-pain fit. Past taglines have included: "Tailored just enough to show your physique without putting your boys in a chokehold," "Even the well-endowed man deserves comfortable slim-fit jeans" and "Free Your Balls." "It gets them laughing, people seem to love, it," Tropeano said. "When they read it, I hope they can feel the pain. It's a visceral thing." And he's had some successful slim-fit converts. "After a month, they'll come back and say I don't know how I was wearing all of that excess fabric. It's cool to open their eyes to that," Tropeano said. "What they don't realize is they will look way better in slim-fit jeans — and the ladies will like it more." Mugsy jeans are for sale online and at Jax & Debb in Wicker Park, Denim & Sole in Lincoln Park, Belmont Army in Lakeview and Denim Lounge in Andersonville.